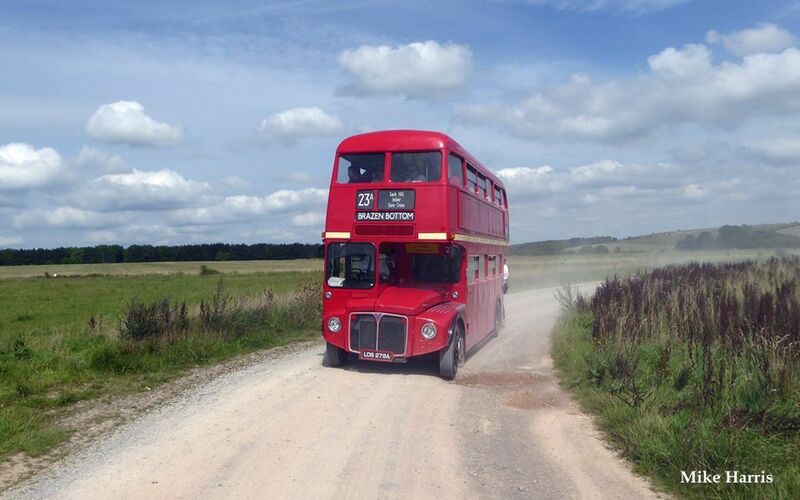 This year’s Imberbus event is being held on Saturday 18th August and as a result of a television programme broadcast a few months ago, it is expected that more visitors will be coming from far and wide to ride on a Routemaster bus across the Salisbury Plain to the lost village of Imber and beyond. Buses stopping opposite Market Lavington Museum which is opening again specially for our event and also serving cream teas. The routes the buses take can be seen on the map below (please click on it to see a larger version in PDF format). Many journeys will be operated by at least 2 vehicles, some of which will be wheelchair accessible, so if you have mobility problems, please email us so that we can tell you which journeys we are planning to use the low floor buses on. As usual, all buses will connect at Gore Cross so that passengers can easily travel to/from all points on our network. However this year the interchange will be in a new location, away from the main road, to make changing buses much simpler. To enable you to do this in an affordable way, we offer an all day ticket at a cost of £10 per adult, with up to 3 children being allowed to accompany each adult for the bargain fare of just £1 each. However, ordinary bus fares will also be available and so if you just wish to travel from Warminster to visit the 16th century St Giles’ Church at Imber (which will be open specially on this date), you can purchase an ordinary single ticket for just £2 each way. Imberbus operates as an ordinary local bus service, so there is no need to pre-book or pay in advance – just turn up and pay the conductor on the bus in cash (payment in £5 or £10 notes or £1 or £2 coins would be appreciated !). To speed things up we will also have staff selling day tickets outside Warminster Station in the morning, but please note that unfortunately we cannot accept credit/debit/contactless cards or concessionary bus passes. Advice on travelling to Warminster can be found on the “How to get to Warminster” page on our website. Remember that trains run approximately every hour to Warminster from Cardiff, Newport, Bristol, Bath, Trowbridge, Westbury, Salisbury, Southampton and Portsmouth, with connections available from London and the West Country at Westbury and Salisbury – please see the First Great Western website for timetables and further details. 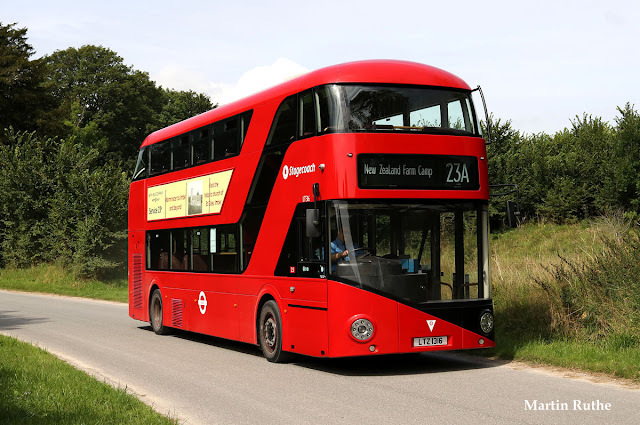 Ordinary bus services also run to Warminster on Saturdays from Bath, Bradford on Avon, Trowbridge, Westbury, Salisbury and Frome and further details of these can be found on the Traveline website. If you are intending to stay overnight in the area, you may wish to visit the Warminster Community Hub website to find suitable accommodation. IMPORTANT – If you are planning on bringing a group of people to Warminster in a bus or coach, please contact us immediately as there are few coach parking facilities available in Warminster. We hope that you will be able to join us on 18th August and if you would like further information about our event, please check out the other pages on our website, including the Frequently Asked Questions page provides important information on where you can and cannot go, where you can get something to eat and also the location of public toilets (which are few and far between on the Salisbury Plain! ).